Losing one’s job can cause tremendous stress on yourself and your family. From a financial standpoint, joblessness can result in an immediate strain on you and your family. From a purely medical standpoint, the stress of being fired begins to mount and can result in deep depression. 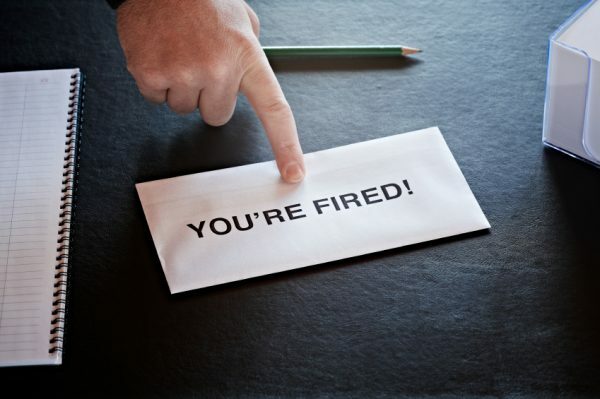 Adding insult to injury, many employers will tend to shortchange employees upon firing. This can often take the form of not timely paying their prior-earned wages or going back on severance agreements. 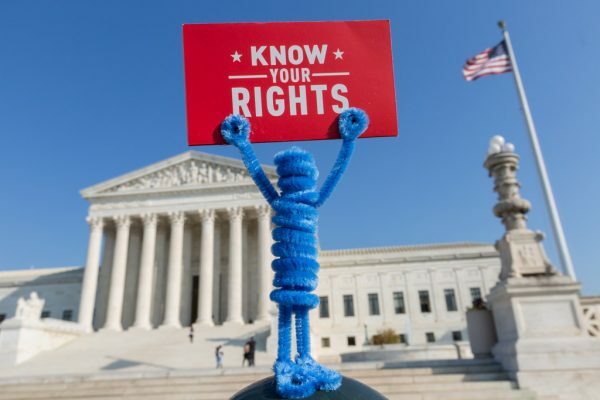 That’s why it is so important to be aware of your rights upon termination. It is always best to get an employment attorney NYC free consultation to make sure you collect all your unpaid earned wages as well as possible severance pay. “Earned wages” is essentially legal terminology that means wages that were earned but were never actually paid. When an employee resigns or is terminated, employers owe the former employee all wages for any work that was performed as an employee. You are entitled to receive your final paycheck, compensating you for all of your hours worked, commissions and/or guaranteed bonuses, on the next scheduled payday after your employment ends. Severance pay, also called separation pay, on the other hand, arises from a contractual agreement (severance agreement) that you make with your employer upon your firing/resignation. Under the terms of that contract, your employer agrees to provide you with benefits or payment in exchange for you agreeing to waive all legal claims that you might have against your employer. Your former employer may offer you severance, but it is not required to do so. Once you sign the severance agreement, you will be bound so we recommend contacting an experienced employment law attorney before signing any agreements. What is the difference between Earned Wages and Severance Pay? The key difference between earned wages and severance pay is the source of the obligation: earned wages are required to be paid because they are wages (it’s the law), whereas severance pay is only required to be paid when you and your employer agree on the terms in a severance agreement. Both concepts involve legal obligations that the employer owes to you, but the obligations are slightly different. You get your earned wages no matter what, and the amount that you are owed is dictated by the agreed upon rate of pay that and the amount of time you have worked since being paid. Severance pay is dictated by the terms of the signed severance agreement. What if I Don’t Get My Final Paycheck? How am I Protected by the Law? An employee’s right to earned wages does not come from an employment contract or the circumstances of one’s employment; rather, it comes directly from the letter of the law. Under the federal Fair Labor Standards Act and the New York State Labor Law, employers have a legal obligation to pay employees for the work that they have performed. The right to payment is unquestionable and is unaffected by the termination of an employee. A terminated employee has a right to any wages that he or she had earned prior to being fired. In New York, under N.Y. Labor Law § 191, your employer must pay you your earned wages on the next scheduled payday after you have quit or been fired. Often, employers either do not know that this is the case or they choose not to pay their employees for their work out of spite or anger (often resulting from the circumstances of the termination). A terminated employee, therefore, has a legal right to seek any earned wages from an employer. In some cases, writing a strongly-worded letter to your former employer will be enough to convince them to pay up. However, in many cases, former employees may have to go to court to recover wages that they are owed. If you have not received your paycheck in a timely manner, you should contact an unpaid wages lawyer to ensure that your rights are protected. If an employer fails to pay a departing employee within the legal time limits, the employer may have to pay additional penalties, interest, and any attorneys’ fees and legal costs the employee spends in forcing the employer to comply. You have 6 years to collect unpaid wages from your employer under state law, but only two years for violations of federal law (or three years if the employer willfully violated the law). However, it’s best to file your claim or consult with an unpaid wages attorney as soon as possible. You are only entitled to severance pay if you sign an agreement in which your employer agrees to pay you severance. In some cases, this payment is clearly defined. In others, it depends on certain factors such as the length of employment or the circumstances surrounding the termination. It is important to consult with NYC employment lawyers to determine exactly what your employment agreement may entitle you to upon termination. This is a contract between you and your employer. Under the terms of that contract, your employer agrees to provide you with benefits or payment (severance pay) in exchange for you agreeing to waive all legal claims that you might have against your employer, including waiving your right to bring a lawsuit against your employer. Employees, of course, are not required to agree to any of these terms but the employee will not receive their severance pay unless they sign the agreement. Although a severance agreement may seem like a simple document, we recommend calling an employment lawyer in New York before signing any agreements to ensure that agreement does not have any loopholes allowing your employer to cut the payment. whether the employer believes that you have actionable claims against them. While typical severance pay is usually monetary – delivered in either one lump sum or multiple installments – it’s not the only form a payment can take. For example, you may ask your company to foot your health insurance bill for a couple of months, or you may request to keep your laptop computer after it’s been wiped clean of company data. You could also negotiate a check for any unused vacation pay and floating holidays. You could also receive stock options or company equity, in which case the severance agreement will usually explain the value and payment terms of any equity interest owned by the employee. 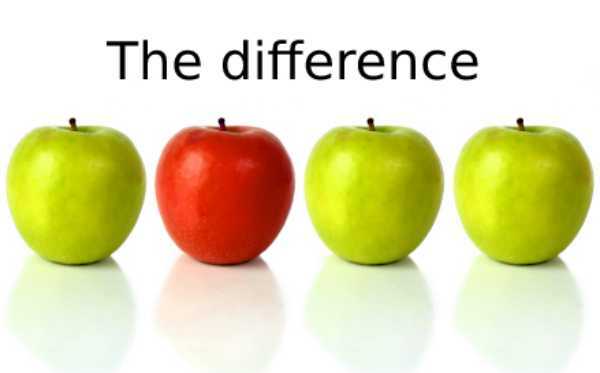 Among other post-termination employee benefits often offered by companies is outplacement counseling. This can be provided in the form of résumé assistance, job placements, and career counseling. Outplacement counseling is designed to help terminated employees prepare themselves for a new job or a new career, to lend assistance in providing outside resources to provide training, and to generally help employees cope with leaving the company. Larger organizations may hire outplacement services to assist employees, whereas smaller organizations may hire a single counselor or use existing resources to assist employees. What is Contained in a Typical Severance Package? What are Examples of Common Provisions? Almost every severance package contains a promise to pay money. For example, your severance package might say that you will receive your salary for 3 months after your last day in the office. Be sure to check your agreement so you understand how much money is being paid to you. Remember, you can always try to negotiate for more money. This is where you agree to waive all legal claims that you might have against your employer, including waiving your right to bring a lawsuit against your employer. It is common for severance agreements to contain a nondisparagement clause where both parties agree not to disparage or make negative statements about the other party, regardless of whether the statement is true. This is where both parties agree to keep the contents, terms, and conditions of the severance agreement confidential and not to disclose them to anyone. Your employer will most likely want to include a paragraph in which your employer makes clear that the severance agreement is not and shall not be construed to be an admission or evidence of any wrongdoing or liability on the part of your employer. This provision will state that the severance agreement shall be governed by and construed in accordance with the laws of a specific state. This clause provides that that disputes relating to the severance agreement must be resolved through arbitration and cannot be litigated in the courts. If your employer decides to offer a severance, your employer will usually calculate severance pay and determine the amount of severance they will offer by taking into account the number of years you’ve been with the company, your position and rank, the size of the company, the reason your employment ended, and whether the employer believes that you have actionable claims against them. Employers usually want to reward long-term employees who are losing their job through no fault of their own. In addition to severance pay, you also may be eligible for unemployment benefits when your severance payments end. If you are not offered any severance pay and you are aware that your employer customarily provides severance pay to similarly situated employees — similar job title, position, tenure, salary and so on — then you should inquire with your employer as to why you are not being offered any severance package. How to Negotiate a Severance Agreement? Once an employer has made an offer of severance, the natural question is how to get more severance pay than what was offered. There are several different strategies you should consider in approaching such a negotiation. It is important to understand that it is in the employer’s interest to pay you as little as possible in exchange for your waiver and release of all claims, so it is highly recommended to delegate all negotiations to a qualified employment law attorney who will protect your rights. whether the agreement contains an arbitration clause. How to Avoid Being Taken Advantage of? 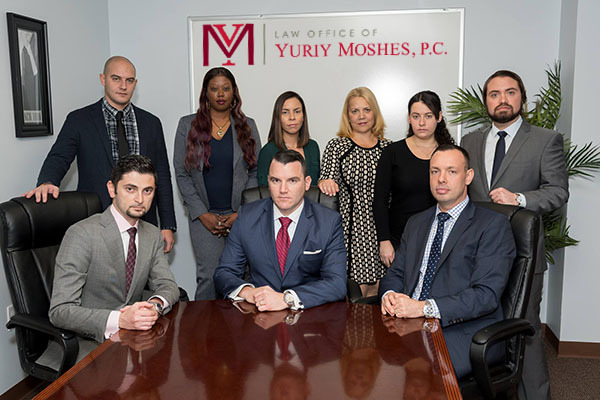 Before signing any severance agreement, contact an employment attorney at Law Office of Yuriy Moshes, P.C. for a free consultation. Unfortunately, many employers try to take advantage of the people they are letting go by having their employees sign away all of their rights while neglecting to provide the employee with his earned wages in the hopes that the employee doesn’t notice. When preparing to leave your place of employment, be especially cognizant of the wages you are owed for your last pay period, considering any earned but unpaid overtime, commissions, or bonuses. Make sure to check if your employer offers severance and pay special attention to the terms of severance agreement. If you do find that your employer is refusing to give you all of your unpaid earned wages or seems to be trying to coerce you into signing an unfair severance agreement, contact an unpaid wages attorney for a free consultation. Have you been paid all of your earned wages? Do you believe that you have legal claims against your former employer? Has your former employer offered you any severance or presented you with a severance agreement to sign? Has your former employer breached a severance agreement that you already signed?